Detects leaks and monitors temperature. Place behind appliance, under pipes and in other places where leaks may occur. 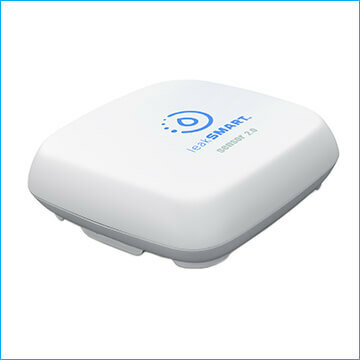 Signals your LeakSmart Valve to automatically shut off water the moment a leak is detected. Dimensions 2.977" x 2.977" x 1.060"